Alexfr j'ai aussi un mtt ideal, et aussi cette saleté de triada.EU et ses petits depuis 1 semaine, qui reviennent toujours malgré Malwares très, Kaspersky, Avast etc... J'ai aussi prévenu le sav de mtt/adar et j'attends...idem concernant le renvoi de l'appareil: Si le système est pourri à la base, pas la peine de perdre du temps...Aromino au cas où je te contacterai peut-être... Je laisse un peu de temps à Adar/Mtt/Nomu, mais sans réponse ou solution je serai bien déçu... choper des saletés en prenant des risques, c'est la vie; mais là dans ce cas ça voudrait vraiment dire que malgré leurs qualités apparentes les premières semaines, ces appareils sont à éviter (surtout dans un cadre professionnel!). Sorry but my French writing is not that great so I reply in English. I did by a Evolveo StrongPhone G4 a while ago and have the same problem. I have Fsecure Safe and this AV does not or did not detect the malware. Setting is Safe he said. Malware byte detect it and ask to remove these file. Once they are reinstalled. I also cannot find anything to root this device. For now Malwarebytes does the trick but I am not sure if my cell is 100% safe now. Factory reset did not help. If somebody has a def. solution please share. I also solved my problem on the S10 by flashing it with an Archos stock rom; Aromino gave me the tip. If the MTT Ideal is a rebrand, you would be able to find a stock rom for your S20 am I right ? The phone I have is a Evolveo StrongPhone G4 it is rebranded but I don't know what the exact model of phone with the same firmware that should work. From what i know so far, the malware first creates a folder ".SDAndroid" , Malwarebytes Scanner does not recognize that. In that folder, there seem to be different Spy files, like contacts, facebookstuff etc ... If you delete it, it will come back after ~12 hrs. If you do not delete it. a 2nd folder is created ".jm", once that happened malwarebytes recognizes the trojan as displayed in the initial post. disguised as "Settings" App for me. I hope i can find a Stock Rom for the S20, and then i have to get into flashing my phone. I hope i can get this working, i dont feel like fighting Nomu or the reseller gearbest for a working phone without spy ware. But I can't find any non-Nomu rom for the phone. You can try to flash the S20 1.0.2 rom to get the 1.0.4 OTA like Aromino did on his S10. I don't know if the 1.0.4 rom is suitable or infected to. i got the v1.0.3_2016_10_21 ... changing it to another Nomu rom would still feel weird., but thanks for the link! After 3 days of normal use, no problem with the Archos firmware (50 Saphir v1.06 update) on my Nomu S10. The thread on the Nomu Facebook community page was now deleted ans they don't communicate on this problem. Well donne Nomu ! Hi I'm having exactly the same issue. Contacted reseller but unsure if they are willing to do anything. Having some trouble flashing the ROM of my phone, as I'm on a mac and don't have SP-flash available to me. Or perhaps someone would make a walkthrough themselves? "so sorry, friend, it is in the system and cannot remove, my colleague tells me. thanks"
The support person say's it wil be solved at the next update. But these are rebranded smartphones : Evolveo, MTT, ADAR ,... they are coming form the same Chinese factory. So they have to ask the Chinese friendly : Please send us a new firmware with no malware. If the chineese are willing to do that, then they will remove the triada Malware and put a new one in, that is what I think. Not sure how we can do this but we should try to united us and put some pressure on these rebranded companies. What can we realistically do at this point? Can flashing guarantee that the phone is cleared of the malware? I'm a mac user (shun me) and cannot find a mac alternative for SP fastboot. Tried downloading Android SDK, but tutorials are outdated and nothing is working. Also whilst trying with fastboot and android adb, my device was not found. Really unsure what's going on in this space. Will see if I can borrow a PC to try getting through this flashing process. 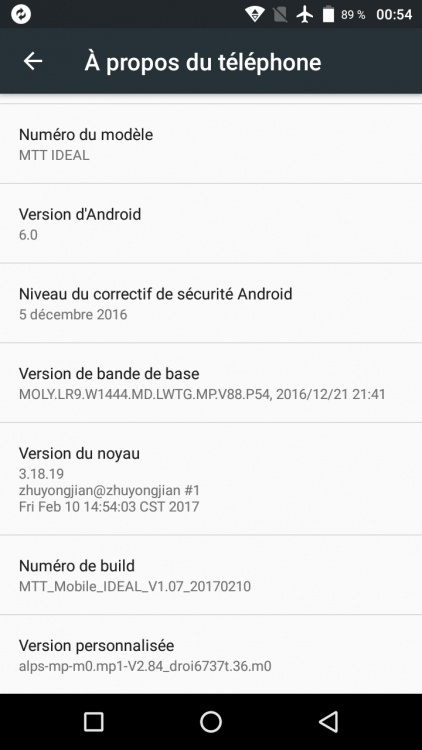 That's why i use a firmware from a french phone. Nomu don't care about us. Maybe journalist or consumer organism will be interested about that global problem. I had the mentioned malware on rebranded Chinese Gotron/Ulefone smartphone, don't know exactly what model if any. 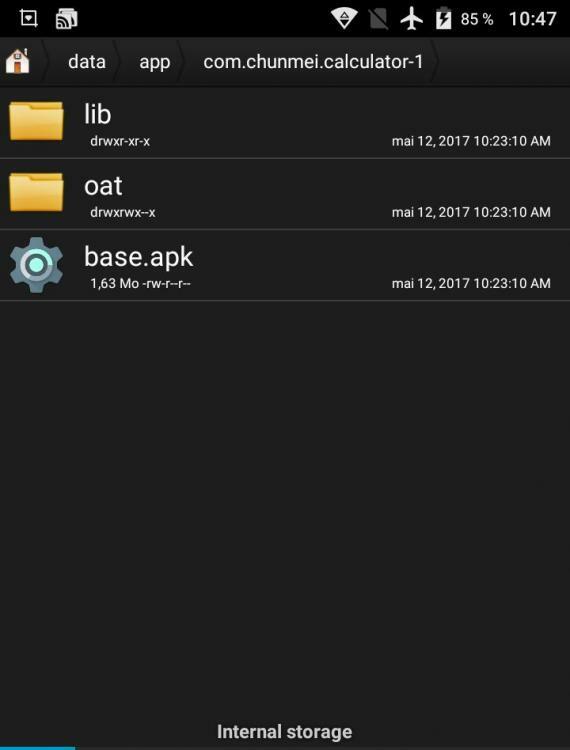 What I did this Monday was to delete the .SDAndroid and .jm hidden folders altogether after the malware was deinstalled from settings and set the update settings to disallow automatic download over WI-FI network (of course the updates via WI-FI only is on). Two days passed with no malware detection and regular app updates. Hope it lasts, or that the problem was addressed by the manufacturer. the malware changed for me now. .jm folder is no longer created and malwarebytes wont find the trojan anymore. ads still pop up. i installed "addon detector", which displays the "settings" app installed as an addon. from there you can uninstall or deactivate it. as it reinstalls, i just stopped the app for now. no more ads for 3 days. no final solution, but at least a temporary one. This usually works until a reboot, but we really need a more permanent fix. 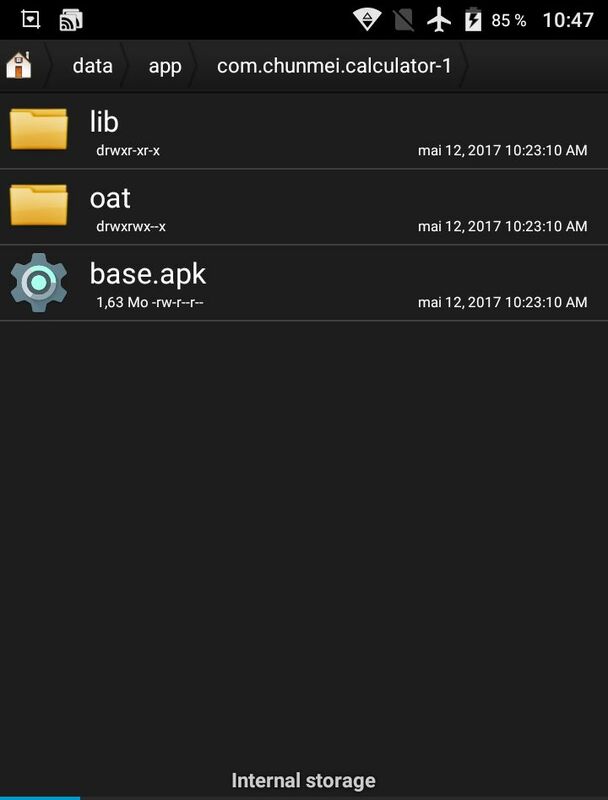 Could someone create a small walkthrough on how to flash the Saphire ROM? My bootloader menu is in Chinese and I have no way of reading it! Is there a method you could use via mac? SP flash tools seems to be windows-based and I cannot install bootcamp for the life of me. Just by creating à Windows based virtual machine on your osx system mauve? 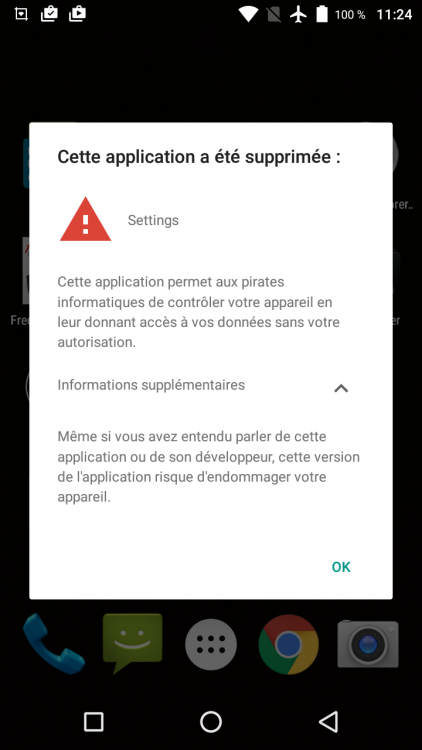 pour info, sur mon MTT IDEAL (NOMU S20 rebranding) l'infection à changé de nom, ce n'est plus com.petsfamily-1 mais maintenant via com.chunmei.calculator-1 que le trojan tente de passer, toujours en executant l'appli base.apk se faisant passer pour l'appli settings du systeme ! L'outils Malwarebyte l'intercepte (voir captures) bien mais toujours impossible de le supprimer definitivement ! Evolveo still have no new firmware. I have the feeling they are doing nothing about this. Des nouvelles de mon cas (MTT ideal) : je l'ai renvoyé au SAV (très rapide). Bref, j'attends des explications de MTT. Je posterai si j'ai des news. Merci pour cette info Totorico!